It has been a long time coming, and we are pleased to announce the addition of our property management division. This will enable us to further help our clients looking to rent quality properties as well as help those who purchase and want to rent their properties when not in use. Now we have control as to how are clients are being taken care of after the purchase. The response has been amazing for the need for a professional rental company and we are getting requests daily to add new properties to our inventory. 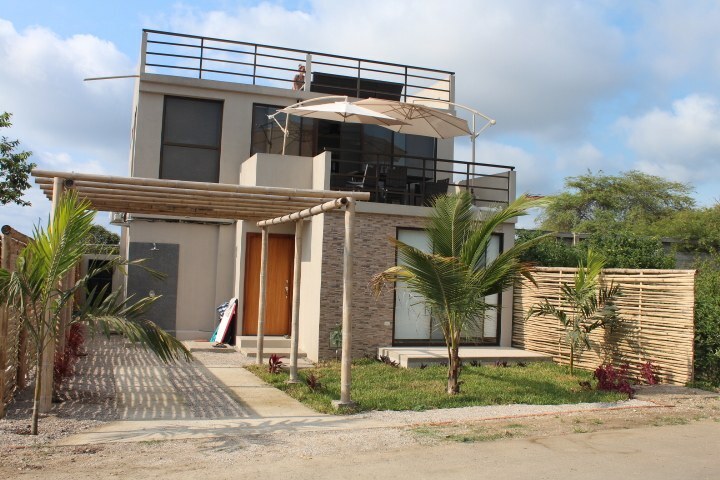 This house with 4 bedrooms and 2 bathrooms is located in Ballenita, Santa Elena Ecuador, in the county of Santa Elena. This near the coast property with mountain, ocean and valley views is situated in the coastal region of Ecuador. The land area of this house is 250,00 square meter (2.690,97 square feet), and it has a living space of 140,00 square meter (1.506,94 square feet). Pets are OK. 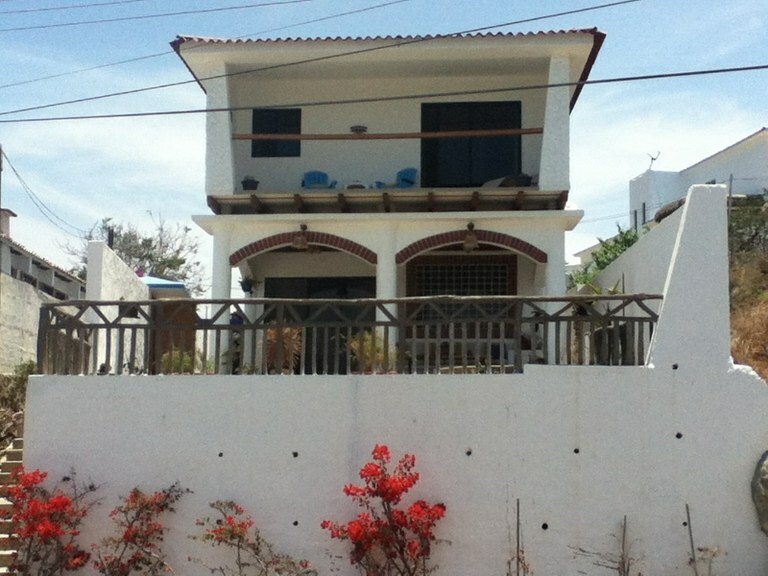 This house with 3 bedrooms and 3 bathrooms is located in Dos Mangas, Santa Elena Ecuador, in the county of Santa Elena. 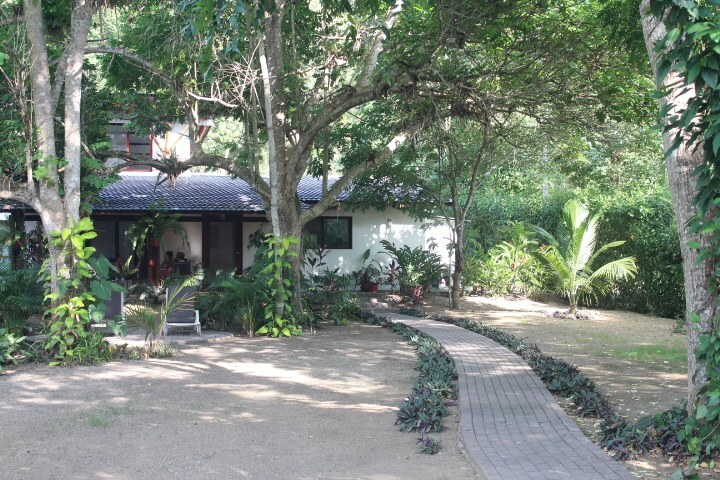 This near the coast, mountain and countryside property with mountain, jungle, greenbelt and garden views is situated in the coastal region of Ecuador. The land area of this house is 1.000,00 square meter (10.763,87 square feet), and it has a living space of 130,00 square meter (1.399,30 square feet). This house is available furnished. This property includes a stove, a freezer, an oven, a toaster oven and a washing machine. Pets are OK. 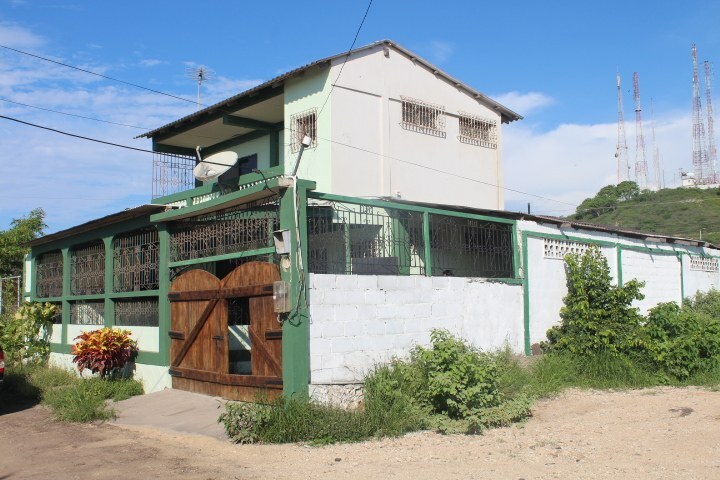 This house with 2 bedrooms and 2 bathrooms is located in Olón, Santa Elena Ecuador, in the county of Santa Elena. 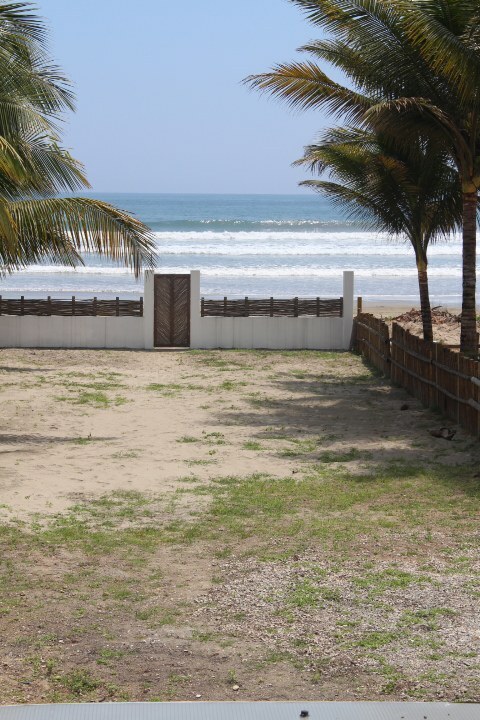 This oceanfront property with mountain, beach and ocean views is situated in the coastal region of Ecuador. The land area of this house is 1.000,00 square meter (10.763,87 square feet), and it has a living space of 130,00 square meter (1.399,30 square feet). This house has split air conditioning. This house is available furnished. This property includes a coffee maker, a stove, an oven, a blender, a microwave and a refrigerator. Sorry, no pets allowed. This house with 2 bedrooms and one bathroom is located in Rio Chico, Santa Elena Ecuador, in the county of Santa Elena. This near the coast, mountain and countryside property with city, mountain, beach, greenbelt, garden and ocean views is situated in the coastal region of Ecuador. The land area of this house is 250,00 square meter (2.690,97 square feet), and it has a living space of 100,00 square meter (1.076,39 square feet). This house is available furnished. This property includes a stove, a freezer, an oven, a refrigerator and a toaster. Sorry, no pets allowed. 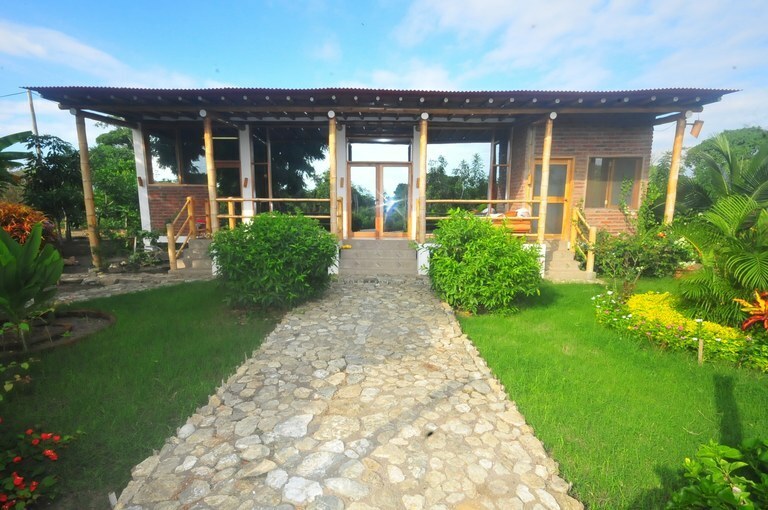 This house with one bedroom and one bathroom is located in Ballenita, Santa Elena Ecuador, in the county of Santa Elena. 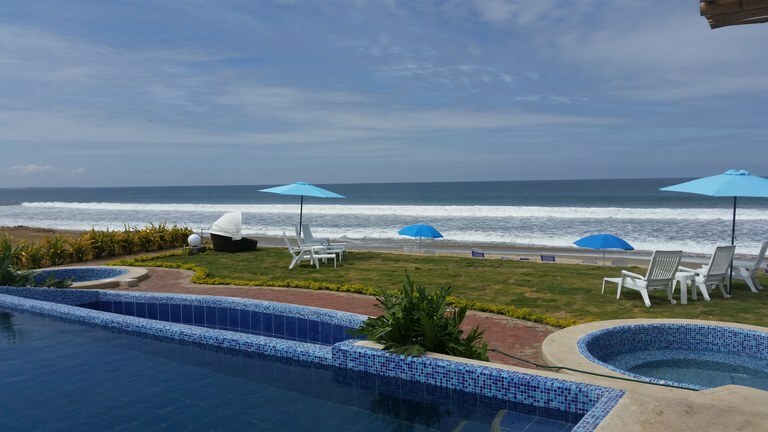 This near the coast property with beach, greenbelt, ocean and valley views is situated in the coastal region of Ecuador. The land area of this house is 250,00 square meter (2.690,97 square feet), and it has a living space of 100,00 square meter (1.076,39 square feet). This house has split air conditioning. This house is available furnished. This property includes a coffee maker, a microwave, an oven, a refrigerator and a stove. The property also features an in-ground pool and a private pool. Pets are OK.
Beautiful cabin to rest and enjoy a paradisiacal view and all the beauty and fun of the coast of Ecuador. 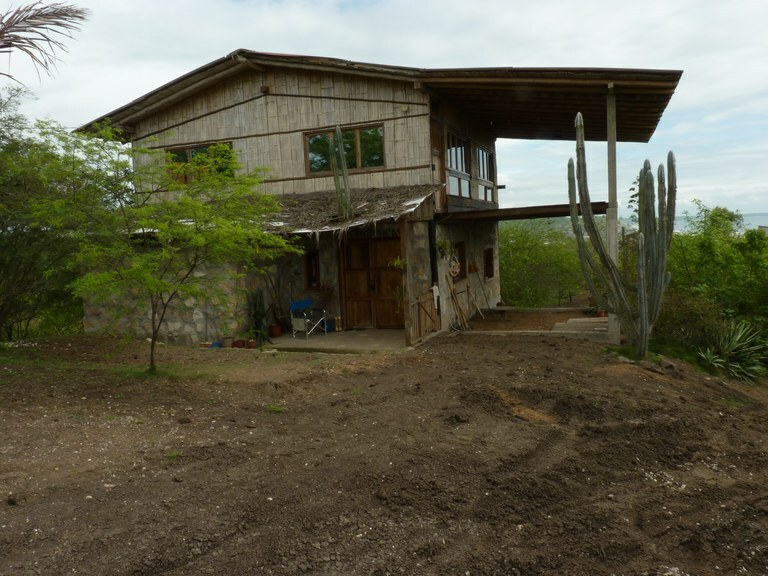 This house is located on top of the hill of Rio Chico, just 5 minutes from the fun of Montañita by taxi, and a few meters from the sea. It is a neighborhood of exclusive access, with only a few neighbors and all the nature around you, but with the necessary comforts to be able to enjoy and rest at the same time. The cabin has a large room with bedroom and living room, kitchen area and bathroom with hot water. Fully equipped and semi furnished. It is impossible to miss the sunsets that can be seen from the glazed balcony. 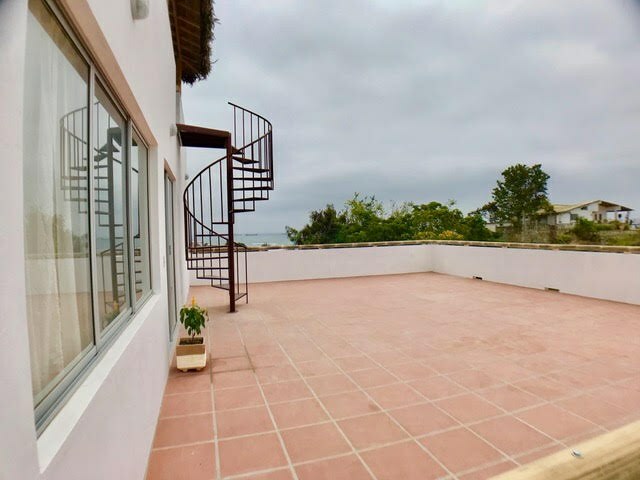 Very private rental available right on the end of the Ballenita Beach with views down the beach and coast. You could not ask for more if your looking for a very quite, peaceful and beautiful place to live and relax-Did someone say Chill Time? 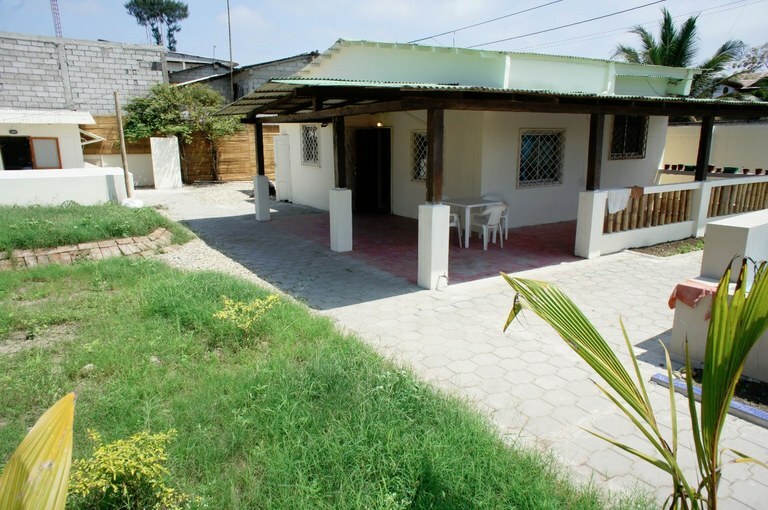 This house with 2 bedrooms and one bathroom is located in Dos Mangas, Santa Elena Ecuador, in the county of Santa Elena. This mountain and countryside property with mountain, jungle and garden views is situated in the coastal region of Ecuador. The land area of this house is 980,00 square meter (10.548,59 square feet), and it has a living space of 154,00 square meter (1.657,64 square feet). This house has split air conditioning. This house is available furnished. This property includes a coffee maker, a stove, an oven, a washing machine, a blender, a microwave, a refrigerator and a dryer. Pets are OK. This apartment with one bedroom and one bathroom is located in Manglaralto, Santa Elena Ecuador, in the county of Santa Elena. This oceanfront property with city, mountain, beach, garden, ocean and river views is situated in the coastal region of Ecuador. The land area of this apartment is 220.00 square meter (2,368.05 square feet), and it has a living space of 50.00 square meter (538.19 square feet). This apartment has split air conditioning. This apartment is available furnished. This property includes a stove, an oven, a washing machine, a microwave, a refrigerator and a toaster. Pets are OK. Newly released and fully equipped house: 3 Bedrooms, 2 Baths, back patio with BBQ area, beautiful terrace and balcony with sea view. Fully furnished. Exclusive access to Beach Club with beautifull swimming pool (adults and kids $10 per day), BBQ Area, Restrooms, and miles and miles of beach to explore Fully furnished and ready for your enjoyment. 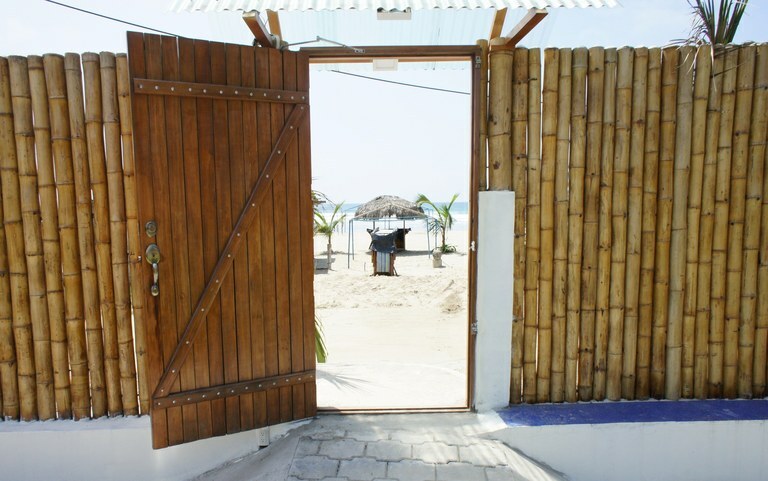 Just 5 minutes away from Montañita Surf Beach. 3 Bedrooms 2 Baths Front and back covered patios BBQ Social Area Beach Club with beautifull swimming pool (adults and kids $10 per day), BBQ Area, Restrooms, and miles and miles of beach to explore Fully furnished and ready for your enjoyment. 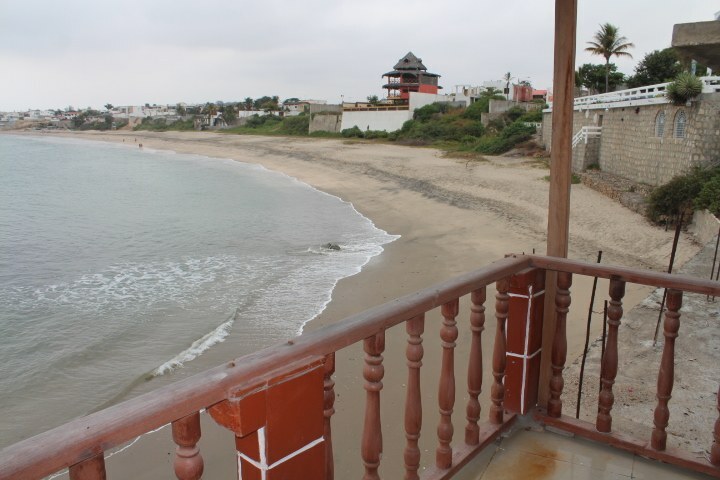 Casita Rental in Olon Malecon: Just a few steps away from beach. 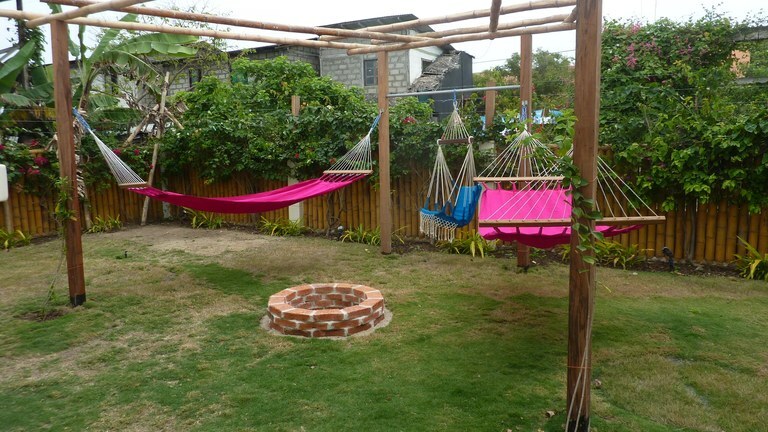 Rental in Olon Malecon House: Relax and enjoy this comfortable place that is just steps away from beach. House features: 3 Bedrooms 2 Baths. Covered BBQ Area, Beautifull swimming pool (adults and kids), 2 outside cabins with hammocks and seats/tables, poolside modern half bathroom and outside shower, big garden, parking for 3 cars inside the property. Fully furnished and ready for your enjoyment. 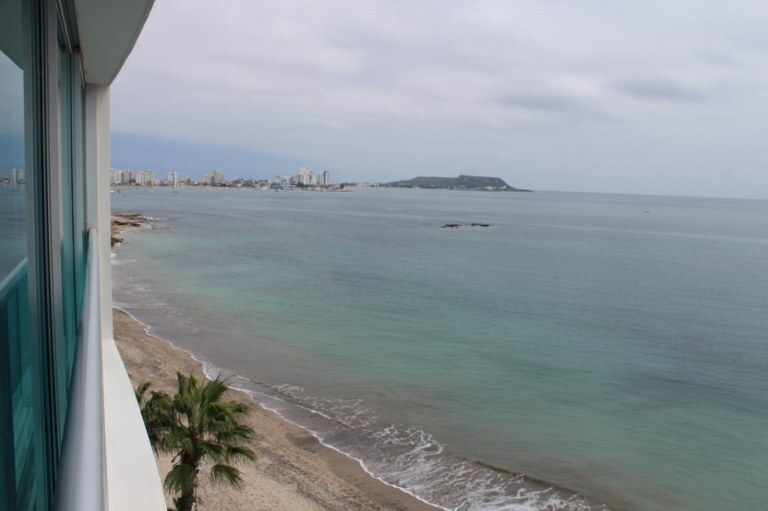 Ocean Front Custom designed condo for rent. Owner will rent by the week($800.) or by the month($2000) with a discount for long term. Very nice facility with excellent security. Just a short walk to the Salinas Malecon. Punta Blanca Ocean View Rental: Ocean View Monthly Rental Available in Punta Blanca- Very Very Nice & Just 150 yards to the Beach. Beautiful Exuctive Home available for rent on a monthly bases. Very popular Punta Blanca Beach is very nice and perfect for those long walks. Very nice Ocean Views from several locations. You will love the 20 foot long terrace and find yourself relaxing and enjoying the fresh ocean breezes. New American Style Kitchen with granite and custom cabinets. Lower level entertainment area includes Spa, Built in BBQ, and very nice patio. Rental rates are May thru November $1,000 per month and December thru April $1,500.per month. Rent includes a $150.00 credit towards WiFi,Direct TV,Electric & Water. Maid service available for $25.00 per visit.